Last season Jurgen Klopp’s men earned universal acclaim for their swashbuckling style of play which underpinned their run to Champions League final and ensured they got the better of Manchester City on three occasions. The unstoppable attacking triumvirate of Mohamed Salah, Roberto Firmino and Sadio Mane were the main force behind their success, complementing each other perfectly in the final third to bamboozle defences both domestically and on the European stage. Salah, in particular, was outstanding, hitting an astonishing 44 goals in all competitions, earning hims the PFA Player of the Year award in the process. The Egyptian quickly became Anfield’s new favourite son, but his exploits in front of goal were ultimately undermined by the team’s deficiencies in defence. 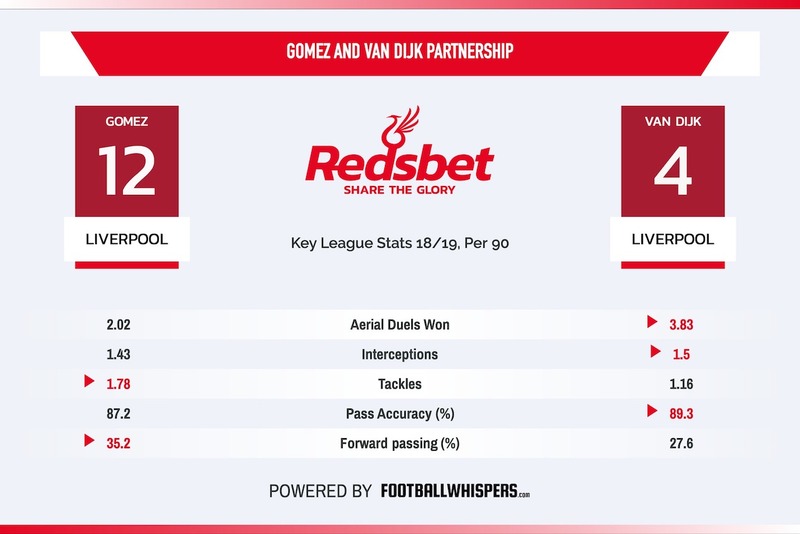 Here, our friends at Football Whispers look at how Liverpool have improved this season by introducing a sense of control. The Reds conceded 38 Premier League goals last term and finished 25 points behind Pep Guardiola’s champions. Virgil van Dijk arrived in January from Southampton to bolster Klopp’s options at the back. However, his impact failed to fully paper over the team’s defensive issues. Number one goalkeeper Loris Karius and Dejan Lovren were the biggest culprits, the former costing the club the Champions League final with two fatal errors against Real Madrid and the latter consistently being caught out at centre-back at crucial moments. The summer transfer window represented the perfect opportunity for Klopp to sort out the problems which plagued his squad last year and he didn’t disappoint, bringing in Brazilian shot-stopper Alisson from Roma and versatile midfielder Fabinho from Monaco. Naby Keita also completed his move to Anfield from RB Leipzig, after agreeing terms on the transfer back in 2017, while Xherdan Shaqiri joined after leaving Stoke City. Fast forward two and a half months and Liverpool are joint-top of the Premier League with an unbeaten record after nine matches. Much to Klopp’s satisfaction, all of the new signings have played a part. Alisson has brought much-needed composure in between the sticks, while earning the trust of the defenders in front of him in a way that Karius never managed to do. Keita has offered exciting glimpses of his ability in midfield, impressing with his relentless running and technical proficiency. Fabinho started slowly but he has featured increasingly in recent weeks and looks set to become an important part of the starting XI as the fixture list piles up, but there is one man who stands above all the new signings as Liverpool’s most influential player this season: Joe Gomez. The 21-year-old defender has both forged a rock-solid partnership with van Dijk in the heart of defence and excelled at right-back. The Englishman seems to have completed Liverpool’s defence and brought overall balance to the team, with Trent Alexander-Arnold and Andrew Robertson deployed as full-backs. The Reds have only scored 16 goals so far this term (just one more than tenth-placed Manchester United) and four of their victories so far have come by a single goal, which is a far cry from some of the high-scoring rollercoaster games we have seen in the Klopp era. 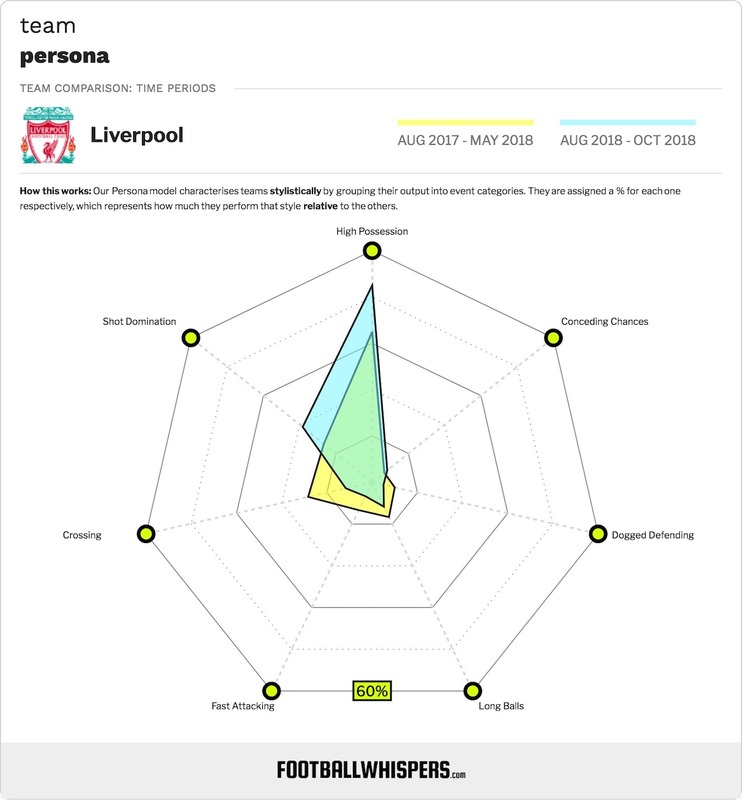 Salah, Firmino and Mane have ten goals between them, but the real stars have been behind them, as Georginio Wijnaldum, James Milner and Keita have provided a stable midfield trio capable of providing service for the strikers, while also making sure that next to nothing gets past them in the middle of the pitch. Add to that the outstanding performances across the back-four and Klopp’s side finally look solid enough to mount a genuine title challenge, as proven during their goalless draw at Anfield against City before the international break. Last season, Liverpool won the same fixture 4-3 in a thrilling contest which was decided by the brilliance of Salah, but this time around the defence won the plaudits. Klopp’s famous high pressing system is still being used to great effect, but the biggest difference now is that there are very few gaps for teams to play through them. A 1-0 win at Huddersfield on Saturday was the latest example of Liverpool’s evolution, as they took the lead thanks to a first-half Salah strike, but secured the three points by restricting their opponents attacking options. Alisson’s latest clean sheet marked his 6th of the season and he has so far only allowed 3 goals to slip past him, making Liverpool the joint best defensive team in the country along with City. On average the Reds keep 56 per cent of the ball per match and have a 65 per cent tackle success rate, which reflects how little time they allow the opposition to keep possession. Some supporters might miss the relentless influx of goals which made the team so entertaining to watch last season, but the smarter ones will acknowledge that something bigger is afoot. Liverpool finally have all the pieces of the puzzle in place and if they can remain in the title picture into the new year, Klopp has the depth at his disposal to lead the club to a first league title in 29 years come May.